Everywhere in America, goods are being transported, boarded, and offloaded. 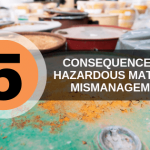 Many of these are hazmat materials, and there are special requirements for handling hazardous waste. Getting hazmat certification in handling hazardous waste could open up a world of job opportunities. The most commonly transported hazardous material that requires hazmat certification to deal with is flammable liquids, and especially gasoline. 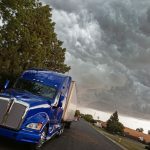 Of all the materials transported in the United States, flammable liquids comprise more than 86% of the value of total hazardous materials, more than 85% of the weight, and more than 66% of the ton-miles transported. The heaviest of all hazardous commodities that are shipped in America are natural gas, asphalt, and Coca-Cola. Together, they weigh in at 2,647 million tons. But the highest value commodity that needs special training to deal with is electronics: worth $1,673 billion in the United States. Why is Hazmat Certification Important? There are an enormous number of regulations when it comes to shipping hazardous materials or working with hazardous wastes. Special training to achieve hazmat certification is important to get a handle on all the issues at play. 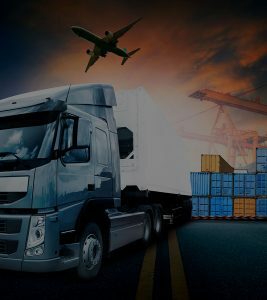 For example, the United States Department of Transportation has nine separate classes for different types of hazardous cargo, and it is essential for those handling such cargo to be knowledgeable and up-to-date on how their cargo is classified and regulated. Anyone who wants to work with hazmat will need as much as 40 hours of training, as mandated by OSHA, and others will also need specific licenses for the states where they work. With hazmat certification comes important benefits in salary and opportunity. In 2016, the median annual salary for those working in hazardous material removal was $40,640. More certification commands even better salaries. 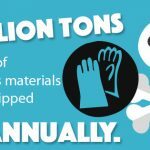 About 11 billion tons of freight is being shipped every year in America over 250 billion miles, and three billion tons of that is considered hazardous material. Working with hazardous wastes can be a lucrative position that opens up opportunities for travel. 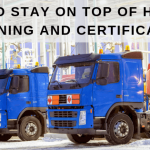 There are a number of schools that can provide some level of training and certification, but the best will offer DOT hazmat training, hazwoper training, and refresher courses. Also look for schools that are available after the training is done, for advice and help and as a source of information on changes in regulations. It’s also possible to find schools that have weekend courses and training available at times that fit busy work schedules. Getting training for jobs that require entering confined spaces or that deal with handling hazardous waste can be an excellent career move that opens up avenues for travel and opportunities for higher-paying jobs. Hazmat certification is an investment, so consider it and look for a school that can provide the training you want with the convenience you need.